The new Edge browser based on the Chromium project is pretty fast, neat, and snappy. In fact, you can even install chrome extensions in the edge browser. Being a Microsoft browser, obviously, it is shipped with Bing as the default search engine. Now, as many think Bing is not a terrible search engine. However, when compared to Google, it has ways to go when it comes to consistency and accurate search results. So, it is no wonder that most of us want to use Google rather than Bing as our default search engine. If that's the case and you want to change the default search engine from Bing to Google then follow the below steps. In fact, you can change the default search engine from Bing to almost any search engine you want. You are not limited to just Google. The new Edge browser, just like the old one, uses the Open Search standard. This means that as long as a search engine is following the Open Search standard, you can add it to the Chromium Edge browser. As you can guess, all major search engines, including Google, DuckDuckGo, Bing, etc., follow the said standard. As such, you can change the default search engine from Bing to Google in the Edge browser. Let me show you how. 1. 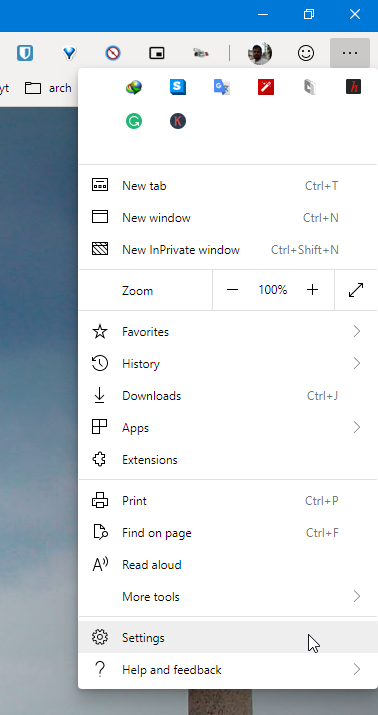 First, install and open the Chromium Edge browser by searching for it in the start menu or by clicking on the taskbar icon. 2. Before you can add Google as the default search engine, you need to search for something in Google. This action lets the Edge browser can grab the search engine using the Open Search standard. So, go to google.com and search for something. 3. Once that is done, click on the menu icon (three horizontal dots) appearing on the top right corner and select the "Settings" option. 4. 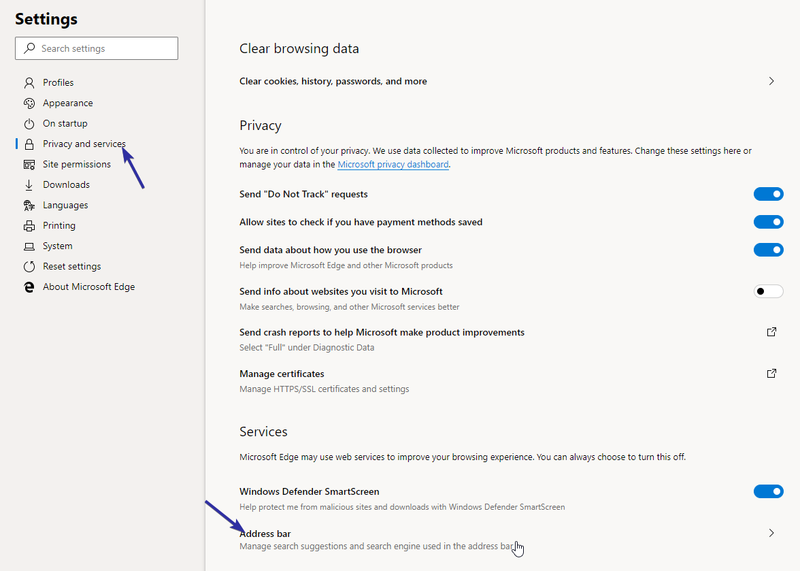 In the settings page, select the "Privacy and Services" option on the left panel. On the right panel, scroll all the way down and click on the "Address Bar" option. 5. Now, select "Google" from the drop-down next to "Search engine used in the address bar" option. Do keep in mind that if you don't see the Google option, it is likely that you did not follow step 2. Follow that step and try again to see the Google search option. That is it. As soon as you select the Google search engine, the settings are automatically saved. From now on you can search from the address bar using the google search engine.